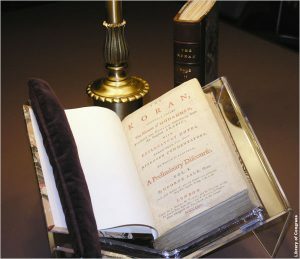 That he owned a Qur’an reveals Jefferson’s interest in the Islamic religion, but it does not explain his support for the rights of Muslims. 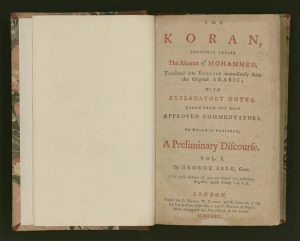 Jefferson first read about Muslim “civil rights” in the work of one of his intellectual heroes: the seventeenth -century English philosopher John Locke. Locke had advocated the toleration of Muslims—and Jews—following in the footsteps of a few others in Europe who had considered the matter for more than a century before him. 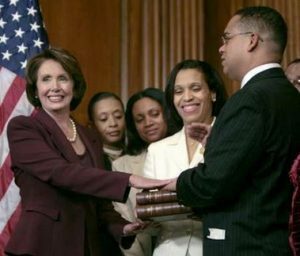 Jefferson’s ideas about Muslim rights must be understood within this older context, a complex set of transatlantic ideas that would continue to evolve most markedly from the sixteenth through the nineteenth centuries. This book documents the counter assertion that Muslims, far from being definitively un-American, were deeply embedded in the concept of citizenship in the United States since the country’s inception, even if these inclusive ideas were not then accepted by the majority of Americans. 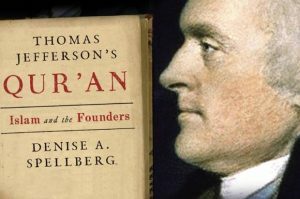 While focusing on Jefferson’s views of Islam, Muslims, and the Islamic world, it also analyzes the perspectives of John Adams and James Madison. Nor is it limited to these key Founders. The cast of those who took part in the contest concerning the rights of Muslims, imagined and real, is not confined to famous political elites but includes Presbyterian and Baptist protestors against Virginia’s religious establishment; the Anglican lawyers James Iredell and Samuel Johnston in North Carolina, who argued for the rights of Muslims in their state’s constitutional ratifying convention; and John Leland, an evangelical Baptist preacher and ally of Jefferson and Madison in Virginia, who agitated in Connecticut and Massachusetts in support of Muslim equality, the Constitution, the First Amendment, and the end of established religion at the state level.